Turns out I’m not the only important (haha) author cranking out words for November’s National Novel Writing Month. 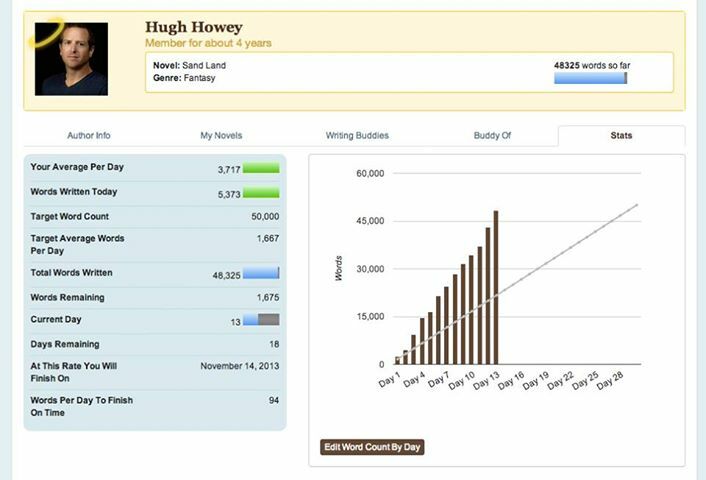 Here’s Hugh Howey’s progress (from his Facebook page). Look at those bars, high above the daily average. 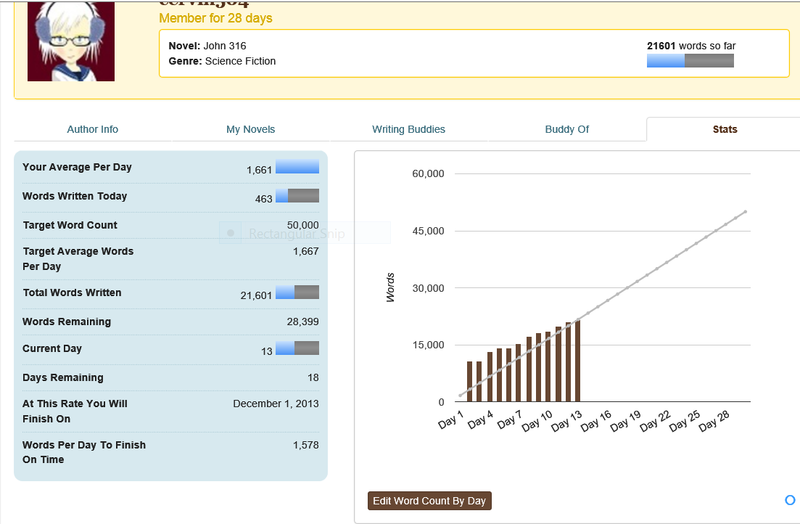 He’s almost at 50,000 words. Great work, HH! The graphs speak for themselves even if the words in these screen shots are too small and blurry to read. I’m average, maybe in danger of slipping behind. Still, I’m proud to be in the pack. How’s your NANO going? Better than Hugh’s? Worse than mine? Not playing this game? Whenever I see 2 NANOs together like this I think of Mork and Mindy: Nano Nano. Mork, Mindy and Monk. Good couple.